winter house, originally uploaded by jahansell. Almost like a dog with droopy ears, isn't it? Oh, gosh. 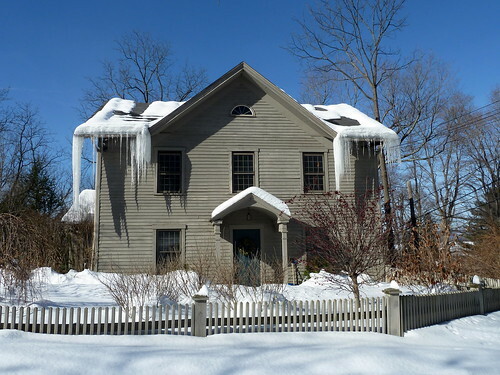 Those icicles look dangerous. Nice photo, but quick, run!